Certain work environments require higher levels of protection from hazards, chemicals, particulates, dust, dirt and grime. For workers that may be exposed to hazardous material, it's so important to make sure they have the personal protective equipment (PPE) they need to avoid serious health risks. Aside from respiratory equipment, eye and ear protection, having the right disposable protective clothing available to workers is often required by OSHA as part of a solid PPE program (1910.120). Exposure to splashes, spills, contaminated surfaces, or aerosols in the workplace can lead to health issues and/or diseases of the skin including contact dermatitis and even cancer. When workers are exposed to hazards on a daily basis, they need the right body wear to stay healthy, productive and be able to continue the job for years to come. So, what kind of PPE do they need? Level A: Provides the highest level of respiratory, skin and eye protection from solid, liquid or gas chemicals. Level B: Provides same levels of respiratory protection as Level A, but less skin protection. Level C: Provides same levels of skin protection as Level B, but less respiratory protection. Not acceptable for chemical emergency response. Level D: No respiratory protection, minimal skin protection. Not acceptable for chemical emergency response. Determine the chemical, physical and environmental hazards and duration of exposure. The disposable clothing that is selected must be resistant to permeation, degradation, and penetration by the respective chemicals/hazards it will be exposed to. Once you identify the risks, you can tailor your PPE program. Level of protection: Decide what protection clothing must provide whether it be vapor, liquid-splash, particulate protection, or fire resistance. Full Body Protection: Do your workers need full body protection including hoods, boots, gloves and face shields? Would elastic wrists and ankles provide the best coverage? Taped versus Serged Seams: Heat sealed tape seams typically provide a stronger seam and protection than the more economical serged, or sewn-seams. Micromax® NS Coveralls: These disposables are economical, lightweight and feature the most advanced microporous protection from dirt, grease, grime, and light chemical splash. Also features high MTVR’s and is breathable for increased comfort. Can be used in hazardous or non-hazardous environments and remains strong whether it is used in wet or dry conditions. 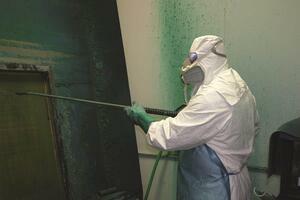 DuPont™ Tyvek® 400 Coveralls: These coveralls are perfect when a worker needs a barrier against dry, small particles. HDPE substrate makes it comfortable and protects against hazardous dry particles and light non-hazardous liquid splash while providing protection, durability and comfort. Synthetic, single layer of fabric allows greater range of motion and comfort while offering tough and tear-resistant protection. Made from 100% high density polyethylene (HDPE), these coveralls are resistant to dry particulate matter, paint, aerosols and blood-borne pathogens. ChemMax1 Coveralls with Serged Seams: Constructed with polyethylene barrier film and continuous filament polypropylene nonwoven, these coveralls prevent contaminants from penetrating to inner clothing. Coveralls also feature serged seams and zipper front closure. Disposable Shoe Covers: Shoe covers are best used in non-hazardous environments to keep shoes free of dirt and contaminants. Disposable shoe covers are an economical way to prevent transfer of contaminants and protect floors while reducing cross contamination of materials within a facility. Disposable protective clothing is not just an option, in some environments it's required. Protective clothing should be part of the Employer’s Safety and Health Program when there is a likelihood of an employee being exposed to chemicals or vapors that could impact their health. Personal protective equipment (PPE) should be selected and used that will protect employees from the potential hazards they may be exposed to. Pro Tip: It’s important to regularly inspect the hazards of a job site, the level of protection may either increase or decrease based on the permissible exposure limits. Of course, engineering or administrative controls should be used as a first measure against exposure, but it doesn’t stop there. For the inexpensive cost of disposable protective clothing, you can rest easy knowing you are providing your workers with another layer of defense against the hazards of a job. And, you can rest easy knowing you're covering your assets at the same time.